Add some uniqueness to your room with these artistic musicians hard at work. 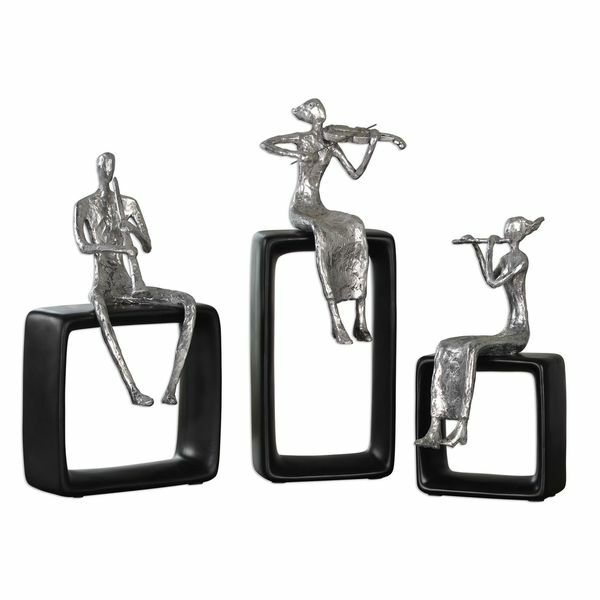 Musicians are cast in aluminum, and feature a textured, silver plated finish. Each musician is resting on a matte black base, perfect for a coffee table conversation piece, a bookshelf or foyer table.